You might dismiss your ability to whip up the best chocolate cookies ever, or create a mind-blowing mac and cheese as not having anything to do with science, technology engineering and math. But if you like cooking, you might have the right kind of brain to delve into subjects you thought were only nerd-worthy. Or, perhaps a dose of science will make your culinary creations even more amazing. 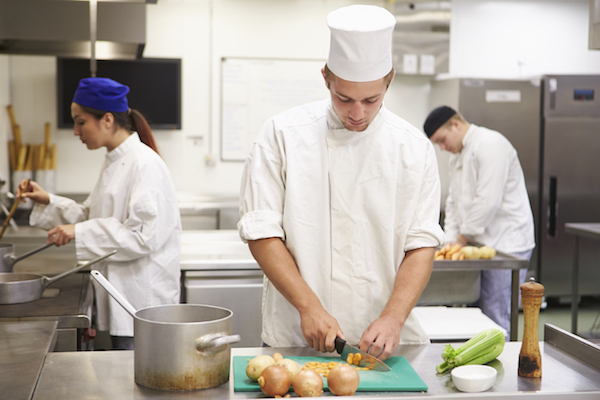 What are the hints that your chef skills would translate to STEM? - You like to experiment. Want those cookies a little lighter? What happens when you add more baking soda? Did your French fries end up soggy? What if you vary the temperature of the oil? Think that mac and cheese tastes a little flat? What’s the chemical reaction when you add a dash of hot sauce? Cooking is all about trying new things, adding a twist to a recipe, and then seeing what results. You tweak a recipe and sometimes it’s good, sometimes not so much, but it’s a process of experimentation. - You don’t mind math. You have a recipe for brownies but you need to triple it for the bake sale. So, how much is triple ¾ cup? If you’re a fan of “The Great British Bake Off” on PBS, exactly how much is 100 grams of butter? And there’s the important math of figuring out how to make your budget go as far as it can, whether you’re shopping for a restaurant, soup kitchen, or a night with friends. - You pay attention to detail. You have to take steps in the kitchen to make sure you’re keeping surfaces and utensils pristine and safe, skills that transfer to a lab. Also as a cook, you need to understand details about how temperatures can affect bacteria or whether your yeast rises. If you have the patience to cook safely and precisely, you might enjoy taking it to the next level in a lab. - You like being on the cutting edge. The hippest chefs are using STEM techniques to take food to a whole new level. Check out Ferran Adria, head chef at elBulli in Spain, demonstrating how he cooks with liquid nitrogen. He sure understands how science and food interact. Don’t believe us? Check out this video about a course at Harvard mixing food and science. Then, think about what you might be able to cook up for a STEM career.